My parents used to watch the evening news on the CBS network. For a long time, Walter Cronkite was the newscaster. He signed off each evening with, “And that’s the way it is.” Until one night when he leaned too far back in his anchor chair, lost his balance, and almost fell backwards. That evening, he signed off with, “And that’s the way it could have been.” It’s one of those “could have been” moments in my life that forms the subject of this blogpost. When my dear Dave and I signed up for a cruise to Alaska — my second and his first — neither of us realized what a life-changing adventure it would be. We just t hought we’d study some, since learning to use Logos 4 software was part and parcel of our particular cruise package. We thought we’d observe and photograph immense beauty. We thought we’d have good fellowship and good food. We thought we’d get close to some birds we don’t see where we live. We thought Dave would collect his last three states, would have visited all 50 states in his lifetime. All this we did, but so very much more we did — or maybe the right way to say it is that it was done to us! 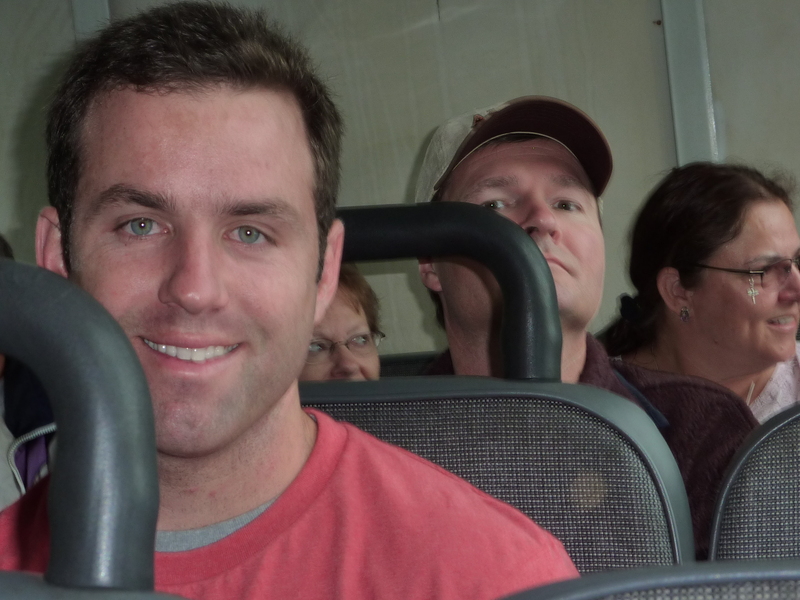 Our cruise was 80% pleasurable, 10% boring, and 10% frightening and painful. We studied Logos all day Sunday and Monday until noon. 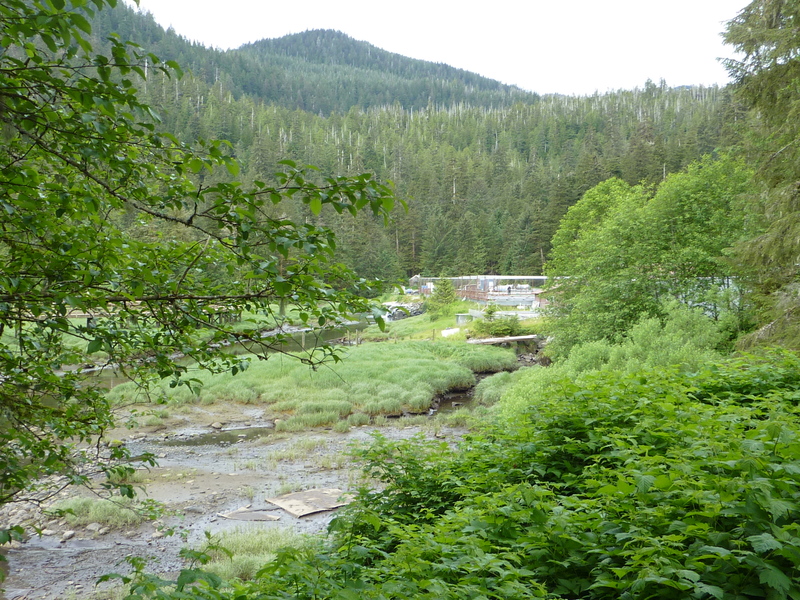 Then we visited Juneau on Monday afternoon, Skagway on Tuesday, and Glacier Bay on Wednesday. 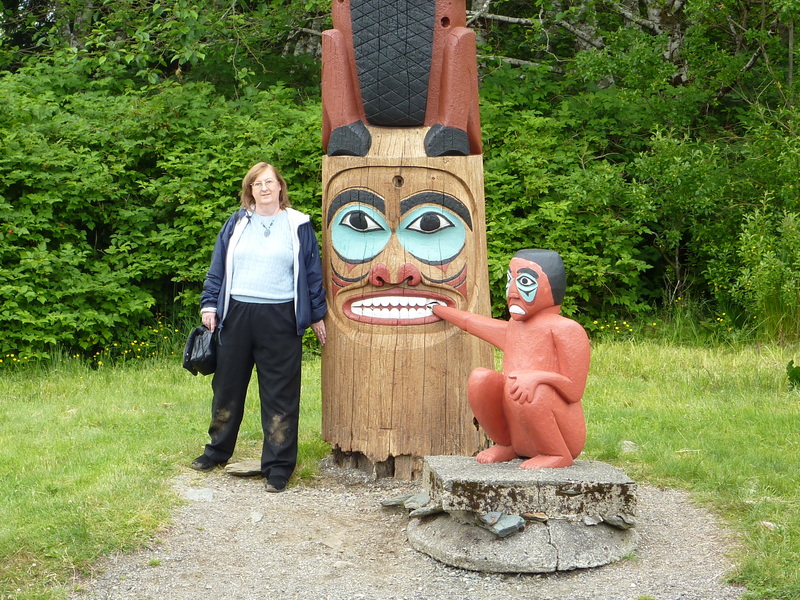 On Thursday, we visited Ketchikan. 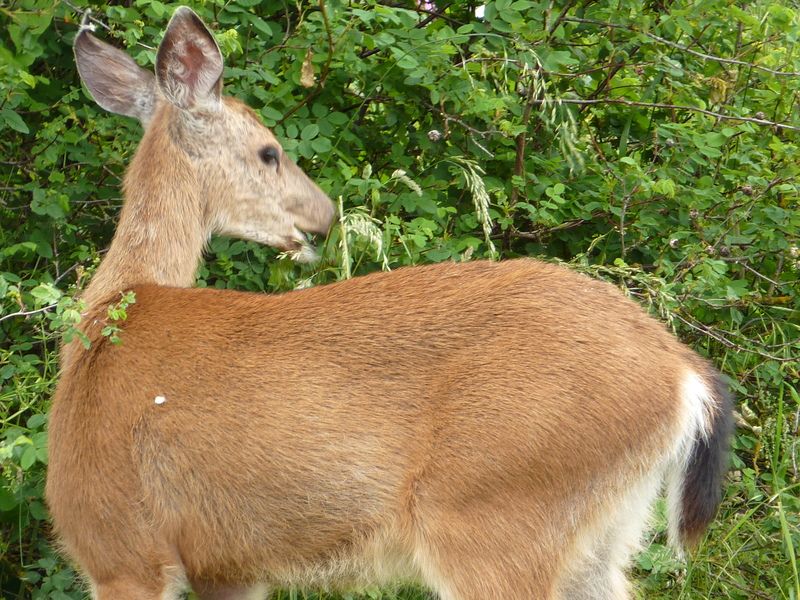 In Seattle, we’d seen deer up close and a great horned owl. We’d witnessed humpback whales engaged in “bubble net” group feeding outside of Juneau, which is a rare and exciting sight. We’d seen harbor seals and various gulls in Glacier Bay. 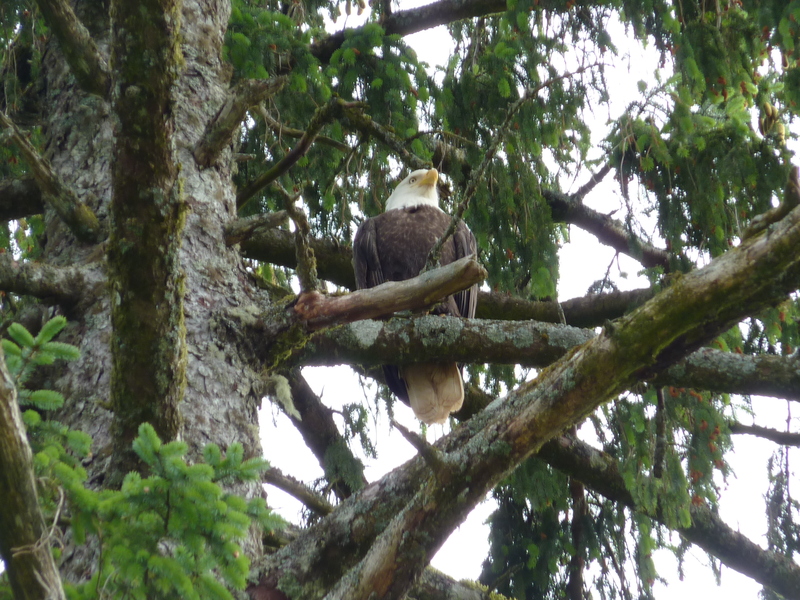 Now we were hoping to see bald eagles up close and other birds and animals, perhaps even a bear. On to our next stop. I snapped a few pictures. A couple of people from our tour were looking at something on the front left side of the parking area. So I wandered over to see what it was. 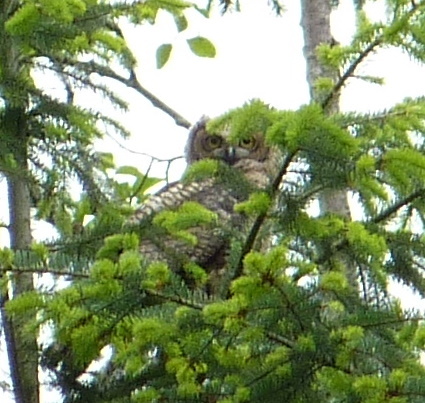 Maybe another eagle, even closer? I never found out. For when I reached the spot, stepping onto the muddy ground for a closer look, my feet slipped out from under me. I expected to plop on my backside, then get up. But to my surprise, I kept sliding. Next I expected that I would soon get hung up on a bush. But I kept sliding. It was a long slope. How would I stop sliding? What would await me at the bottom? Lots of pain, broken bones, maybe even death. Realizing my danger at last, I began to roll over, arms facing the slope, to try to grab at bushes or trees. As I turned, I said out loud, “Lord, help me.” I am not a great saint, but the God of the Bible is a great God, full of mercy. He was certainly the only one who could help me at this point. All the folks on our tour were too far off to do me any good. A small plant appeared on my left, and I grabbed for it, but it slipped away. Then, as I completed my desperate prayer and completed my turn, I saw a rope to my right. I grabbed it. It held. My fall was stopped. The Lord had heard and answered my prayer. The rope was an inch or more thick and quite sturdy. The tree it was tied to had an 8-inch diameter. Strong enough to hold me as I got my feet under me and started climbing back up. Someone called down from above to ask how I was. Though I was shaken and bruised, my arms and legs worked. And I was alive! So I called back that I was okay. I climbed up using the rope and my legs. A strong young man reached down to help me. I asked him if he was secure, as I didn’t want to pull him down the muddy slope, too. My legs could no longer find any purchase. Nor could my knees. The muddy ground just gave way beneath them. And I’d reached the top of the rope. Now it was up to the young man and his helpers to pull me up the rest of the way. There were many involved in my rescue: Dave from my right, the young man and those holding him from straight ahead, and many angels from on high dispatched to care for this foolish tourist. Praise God for sending so many to help me. Where would I have been without them? Dead or severely injured. We finished the tour without further excitement. Though why I can’t tell. I should have been, you would think, jumping up and down for joy, even with hurt knees. I should have collected the names and addresses of those who helped me. I should have told everyone how desperately I had prayed and how quickly God’s answer came. But I didn’t. Dave and I are passive, often too passive. And we process things slowly. I could tell I’d have a great story to tell back home. And I knew my knees were hurt, so I should take it easy, get some prayer, and possibly seek medical attention. My gratitude to God is real, though, just not expressed quickly or loudly. My gratitude includes the fact that the iPhone in my pocket didn’t slip out or get broken. The camera around my neck was still okay. The purse around my neck and shoulder stayed shut. My new passport in the purse was okay. I think I lost two tissues and a lipstick from my pockets — nothing huge, nothing hard to replace. Back on our ship, we ate lunch and sent an email to three friends in our small group to get some prayer going. Then we had our stateroom steward bring some ice, and I rested my knees. Dave went off to do laundry while I re-watched “The Young Victoria,” a film about Queen Victoria’s youth and first year or two on the throne. My aches and pains became more evident as the afternoon wore on. It reached the point where I could no longer stand without lots on pain, particularly in my right knee. Dave had to help me hobble to the head in our stateroom. We paged our steward for a wheelchair, waited for the medical clinic to re-open, and paid them a visit. It took a long time to get seen as there were a slew of crew members and other passengers also seeking attention. But we received excellent care from the doctor and nurses from South Africa. The x-rays showed no broken bones. They treated both knees with Deep Heat, gave me an injection for the pain and swelling, and supplied me with two kinds of pills. My left knee got a urethane brace, while my right knee was heavily bandaged. I was told to sleep with a pillow between my knees and to let Dave wheel me around as much as possible. By evening the next day, I was greatly improved. I could walk on my own some, though with some pain. 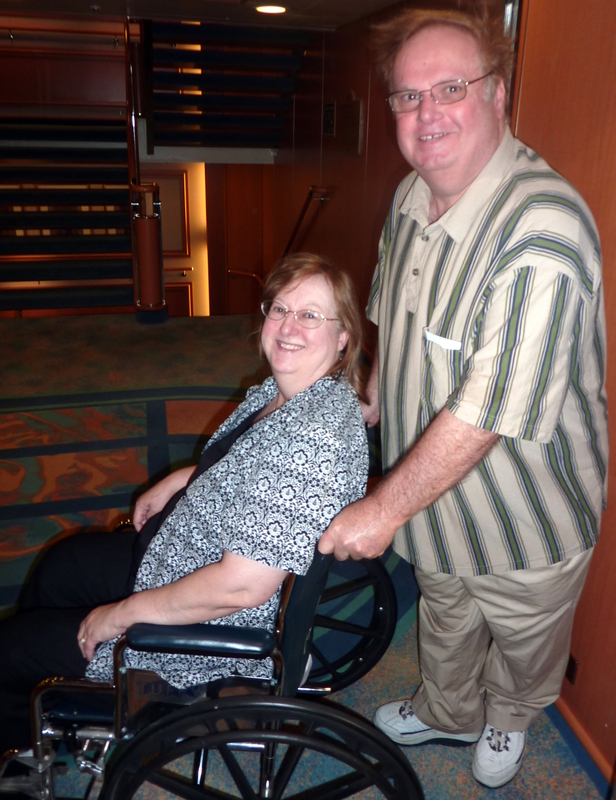 We kept using the wheelchair until we left the ship and at the airports on the way back. Getting up from a sitting position is still more of a bother than it used to be. Soon I’ll see my primary care physician for her take on my injuries and what else may need to be done. Also soon, I hope and pray, I’ll come to a greater realization of just what “might have been” versus what “was and is” — and praise and thank the Lord more fervently for His protection of this foolish tourist.